Patsy White, age 77, passed away on Friday, April 12, 2019 at her home in Altus, Ok. She was born on November 15, 1941 in Altus, Ok the daughter of Bose and Mildred Halcomb. She married Chesley "Butch" White on November 23, 1963. Patsy was a homemaker. She enjoyed bowling, playing bingo and spending time with family and friends. She moved to Mangum, OK in 1993 where her husband took over operations at Greer Funeral Home. She moved back to Altus in 2009 after the death of her husband. She was a long-time member of the Methodist Church. 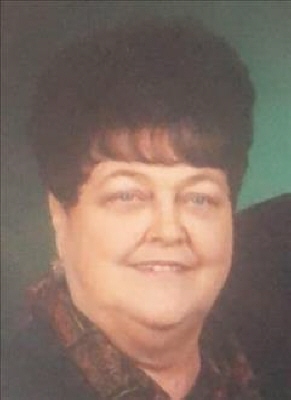 She is survived by her sons and daughters-in-law, David and Carlene White of Idabel, Ok and Mike and Kahla White of Altus, Ok; her grandchildren, Megan and Jake Stallings, Shelby and Alex Rosin, Cole and Krista White, Nason White and Caine White; great-grandchildren, Dox Stallings, Calahan Joe Stallings, and Loraina Rosin; brother and sister-in-law, Bart and Kathy Halcomb of Blair, Ok; sister, Betty Varney of Altus, Ok; and several nephews, nieces, other relatives and friends. The family will greet friends at Visitation from 4:00 pm until 5:00 pm on Sunday evening, April 14, 2019 at Lowell-Tims Funeral Home in Altus. Graveside service will be at 10:00 a.m. on Monday, April 15, 2019 at Altus City Cemetery under the direction of Lowell-Tims Funeral Home and Crematory, Altus, Oklahoma. To send flowers or a remembrance gift to the family of Patsy Sue White, please visit our Tribute Store. "Email Address" would like to share the life celebration of Patsy Sue White. Click on the "link" to go to share a favorite memory or leave a condolence message for the family.